Atrial fibrillation is the most common cardiac dysrhythmia, and confers a significant stroke risk in patients with specific risk factors.1 To mitigate this stroke risk, anticoagulation is commonly employed, but increases the risk of bleeding. Clinicians often weigh the risk and benefit of stroke reduction versus bleeding in deciding whether to anticoagulate patients. Patients on hemodialysis are diagnosed with atrial fibrillation more often than the general population due to multiple factors, including electrolyte imbalances, and volume alterations.2 This, in addition to higher rates of traditional stroke risk factors in this population, leads to higher stroke rates. Conversely, hemodialysis patients also have higher risk of bleeding due to heparin administration with dialysis, uremic platelet dysfunction, and repetitive vascular cannulation.3 As a result, the decision to anticoagulate dialysis patients is difficult for clinicians weighing the above risks, as well as the fact that limited literature is available to guide whether these patients should be anticoagulated or not. To date, multiple retrospective studies have been published evaluating warfarin use in dialysis patients.1,4-7 Only 1 study included peritoneal and hemodialysis dialysis patients, while all others evaluated just hemodialysis patients. A retrospective analysis published in the Journal of the American Society of Nephrology followed more than 1600 dialysis patients with atrial fibrillation for an average of 1.6 years.4 The authors reported that in patients with an average CHADS2 score of 2.75, warfarin use compared to no anticoagulation led to an increased rate of stroke (HR 1.93; 95% CI 1.29 to 2.90). Interestingly, the risk was elevated for both hemorrhagic stroke and ischemic stroke, which is likely due to confounding or differences in outcome assessment. Time in therapeutic range was not reported in the study. The study published in the Clinical Journal of the American Society of Nephrology evaluated more than 2300 elderly newly diagnosed atrial fibrillation patients on hemodialysis by utilizing healthcare claims data.5 This study found that in patients on warfarin versus no anticoagulation, rates of ischemic stroke were no different (HR 0.92; 95% CI, 0.61 to 1.37), but there was a statistically significant increase in the rate of hemorrhagic stroke (HR 2.38; 95% CI, 1.15 to 4.96). Other endpoints, like gastrointestinal hemorrhage and mortality, did not differ between cohorts. Mean CHADS2 scores and time in therapeutic range for warfarin were not reported. A retrospective evaluation of more than 1600 dialysis patients with atrial fibrillation in a propensity score matched analysis was reported in the journal Circulation.6 The evaluation indicated patients in the warfarin group had more risk for stroke compared to the non-warfarin users (CHADS2 ≥ 2: 77% [580/756] versus 69% [596/870]), but there was no difference in bleeding risk (HAS-BLED ≥ 3: 84% [637/756] versus 86% [744/870]). Comparing dialysis patients given warfarin versus no anticoagulation, there was no difference in rates of ischemic stroke (adjusted HR, 1.14; 95% CI, 0.78–1.67). Conversely, there was a statistically significant increase in bleeding in the warfarin cohort (adjusted HR, 1.44; 95% CI, 1.13–1.85). In a report published in the American Journal of Kidney Diseases, data was reviewed from the US Renal Data System for hemodialysis patients newly diagnosed with atrial fibrillation.7 More than 12,000 patient records were evaluated with about 90% having a CHADS2 ≥2. In the intention to treat population, utilization of warfarin was associated with a reduction in ischemic stroke (HR, 0.68; 95% CI, 0.47-0.99), but not other outcomes, such as hemorrhagic stroke, gastrointestinal bleeding, or all-cause mortality. Interestingly, almost 70% of patients who started on warfarin discontinued the medication within 1 year of initiation, and time in therapeutic range was not provided. 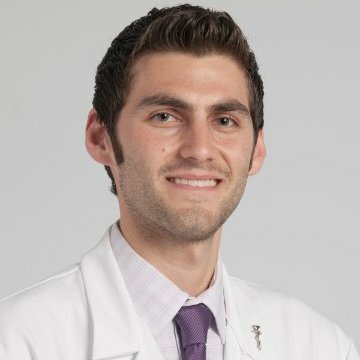 The newest literature in this data set comes from a retrospective, population-based, study that evaluated more than 4,000 patients on hemodialysis given either warfarin or no anticoagulation.1 Published in Heart Rhythm journal, the study showed propensity score matching was also completed on almost 900 patient pairs. In both the entire cohort (HR 0.76, 95% CI 0.69–0.84) and in the propensity-matched patients (HR 0.78, 95% CI 0.69–0.89), there was a significant reduction in mortality in patients taking warfarin. Rates of ischemic stroke were significantly lower in the warfarin cohort in both analysis, while rates of bleeding did not differ. Mean time in therapeutic range for warfarin patients was 46%, which may have led to the nonsignificant bleeding outcomes. In a subgroup analysis of the data, 2 subgroups showed no benefit with warfarin; these included patients with a history of hemorrhagic stroke, and those taking concomitant aspirin. This controversial subject is debated throughout current guidelines with no definitive answer being provided. The 2011 Kidney Disease: Improving Global Outcomes (KDIGO) cardiovascular disease in chronic kidney disease update recommends that until new data becomes available, routine anticoagulation of dialysis patients with atrial fibrillation for primary prevention of stroke is not indicated.8 The 2014 American Heart Association/American College of Cardiology/Heart Rhythm Society atrial fibrillation guidelines recommend anticoagulation therapy similar to nonhemodialysis patients with warfarin, based on its acceptable risk of hemhorrage.9 The 2014 Canadian Cardiovascular Society guidelines for the management of atrial fibrillation state that, due to the paucity of randomized clinical trials in dialysis patients, they cannot recommend routine anticoagulation.10 Finally, the 2016 European Society of Cardiology atrial fibrillation guidelines state that there have been no randomized controlled trials in the hemodialysis population assessing oral anticoagulant utilization.11 In addition, they state there is both positive and negative studies available in the literature for this patient population, and thus, do not make a recommendation for or against anticoagulation. After a thorough review of the data, strong recommendations cannot be made regarding the practice of routinely anticoagulating or withholding anticoagulation in hemodialysis patients with atrial fibrillation. Clinicians need to continue to weigh thrombosis risk against bleeding risk in patients. Randomized clinical trials are desperately needed in this patient population. Currently, there are no trials ongoing evaluating this clinical question, but there is a trial, the RENAL-AF study, evaluating apixaban versus warfarin in this patient population. This trial may shed some additional light on anticoagulation, but will not answer the question whether withholding anticoagulation is more optimal in this patient population. Kai B, Bogorad Y, Nguyen LN, et al.Warfarin use and the risk of mortality, stroke, and bleeding in hemodialysis patients with atrial fibrillation. Heart Rhythm. 2017;14(5):645-51. Buiten MS, de Bie MK, Rotmans JIet al. The dialysis procedure as a trigger for atrial fibrillation: new insights in the development of atrial fibrillation in dialysis patients. Heart. 2014;100:685–90. Markman TM, Nazarian S. Anticoagulation for atrial fibrillation in dialysis patients: What is known and what does the future hold? Heart Rhythm. 2017;14(5):652-3. Chan KE, Lazarus JM, Thadhani R, Hakim RM. Warfarin use associates with increased risk for stroke in hemodialysis patients with atrial fibrillation. J Am Soc Nephrol. 2009;20(10):2223-33. Winkelmayer WC, Liu J, Setoguchi S, Choudhry NK. Effectiveness and safety of warfarin initiation in older hemodialysis patients with incident atrial fibrillation. Clin J Am Soc Nephrol. 2011;6(11):2662-8. Shah M, Avgil Tsadok M, Jackevicius CA, et al. Warfarin use and the risk for stroke and bleeding in patients with atrial fibrillation undergoing dialysis. Circulation. 2014;129(11):1196-203. Shen JI, Montez-Rath ME, Lenihan CR, Turakhia MP, Chang TI, Winkelmayer WC. Outcomes After Warfarin Initiation in a Cohort of Hemodialysis Patients With Newly Diagnosed Atrial Fibrillation. Am J Kidney Dis. 2015;66(4):677-88. Herzog CA, Asinger RW, Berger AK, et al. Cardiovascular disease in chronic kidney disease. A clinical update from Kidney Disease: Improving Global Outcomes (KDIGO). Kidney Int. 2011;80:572–86. January CT, Wann LS, Alpert JS, et al. 2014 AHA/ACC/HRS guideline for the management of patients with atrial fibrillation: a report of the American College of Cardiology/American Heart Association Task Force on Practice Guidelines and the Heart Rhythm Society. J Am Coll Cardiol. 2014;64:e1–e76. Verma A, Cairns JA, Mitchell LB, et al. 2014 focused update of the Canadian Cardiovascular Society guidelines for the management of atrial fibrillation. Can J Cardiol. 2014;30:1114–30. Kirchhof P, Benussi S, Kotecha D, et al. 2016 ESC Guidelines for the management of atrial fibrillation developed in collaboration with EACTS. Eur Heart J. 2016;37(38):2893-962.